Paxos Resort consists of 3 unites, housing 6 independent self-catering Suites. Each suite offers a separate bedroom, kitchenette, bathroom with shower, a flat-screen TV with satellite channels, Wi-Fi, air conditioning and ceiling fans. The interior is cleverly constructed with stone walls and floors throughout making the suites cool and inviting. Floor to ceiling sliding windows open up onto the private patio area. 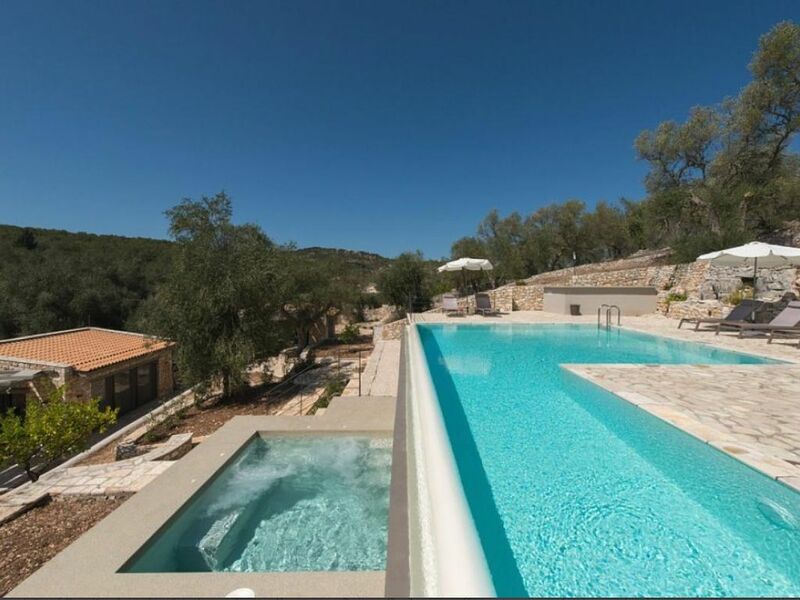 Outside the shrubs and olive trees provide shaded areas in gardens which lead to the beautiful elevated shared swimming pool, for the enthusiastic the shape is perfect for lap swimming. The Jacuzzi and sun loungers are inviting for a relaxing experience. The location of Paxos Resort Suites is just 4 minutes walk to the nearest beach and 5 minutes into Gaios, there is also private car parking on site. The suite offers a separate bedroom, kitchenette, bathroom with shower, a flat-screen TV with satellite channels, Wi-Fi, air conditioning and ceiling fans. The interior is cleverly constructed with stone walls and floors throughout making the suites cool and inviting. Floor to ceiling sliding windows open up onto the private patio area. english, french, german, spanish, russian, italian, dutch, greek, Book with BestHolidayHomes- Financially protected!